We live in a time of great social upheaval and dramatic political change. This degree will allow you to explore political ideas, structures and approaches that will help you to understand these complex circumstances. Core modules in this programme will give you a grounding in political theory, international relations, development studies and systems of government used around the world. As an undergraduate student of politics, you will pursue topics that suit your own interests and concerns: we offer a wide range of optional modules exploring topics, from political psychology to security studies, supported by the unique breadth of research specialisms within the School of Politics and International Studies. the Parliamentary Studies Pathway which includes a year spent on a related placement. the Quantitative Research Methods pathway which will enhance your quantitative skills. See the 'Course content' tab for more information. Year 1 provides the foundation of your studies with a set of compulsory modules. You’ll be introduced to all of the core areas of the School’s expertise, covering topics including political theory, comparative and British politics, international relations and development studies, as well as gaining the research and academic skills you need to study politics. You’ll also have the choice of an optional module, to help you start developing your own research interests. You’ll then build on your knowledge in the following year, with compulsory modules that allow you to gain new skills in political research and explore different areas of political theory. Around this, you’ll choose from more advanced modules in topics such as UK politics, electioneering and the political systems of different countries and regions. In addition, you can select options from a range of modules on broader topics like approaches to development, security studies or international relations. In your final year, you’ll pursue your own specialist study. You’ll produce an extended piece of individual research on a topic of your choosing when you complete your dissertation, and select from a wide range of specialised modules delivered by staff in areas of their own research expertise. Topics could include feminist political thought, human rights, political psychology, political extremism, the relationship between the EU and the wider international community, the politics of aid, terrorism or violence and reconciliation in African states. At the end of Year 1, you’ll have the opportunity (exclusive to BA Politics students) to apply for one of a limited number of places on our four-year BA Politics and Parliamentary Studies pathway, transferring into Year 2 of that programme if you are successful. You’ll take some of the same modules as BA Politics students, but you’ll also have a closer focus on topics such as the UK Parliament, in preparation for your placement year. This will prepare you to spend Year 3 on a related placement before returning to Leeds for your final year of study. On your return you will have a wide range of module options to choose from, including options specific to British politics and parliament, whilst also developing your dissertation. 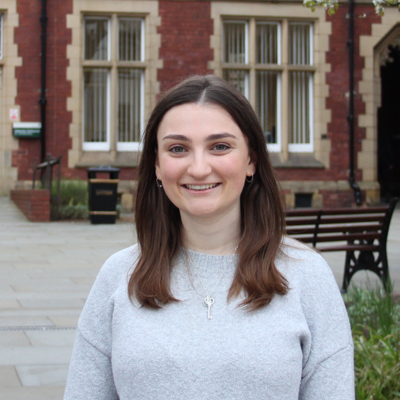 This exciting placement year could mean working with an MP at Westminster, at a party headquarters, in a constituency office or another political organisation. It’s an excellent opportunity to gain an insight into the workings of parliament and government, put your knowledge and skills into practice and gain valuable work experience to support your future career plans. At the end of Year 1, you’ll have the opportunity to apply for a place on our BA Politics with Quantitative Research Methods pathway. This pathway will help you develop advanced analytical skills, which are in high demand across the public, private, and third sectors. You will learn statistical analysis techniques and their application to real data (e.g. survey data, countries’ statistical data) using statistical software. You will also write a dissertation in which you will analyse quantitative data to examine questions about politics, development or international relations. You are not required to have done Mathematics at A level, this pathway is open to all students as long as you have attained an overall 2.1 in your first year and a 2:1 in the Comparative Politics module. We don’t require A level Politics for any of our degrees and we welcome applications that include vocational A level subjects such as AVCE (single or double awards). Any combination of these with A levels is acceptable. We accept a range of international equivalent qualifications. For information contact the School of Politics and International Studies Undergraduate Admissions Team. This versatile degree will allow you to gain in-depth knowledge of an important area of public life, as well as key transferable skills in communication, research, analysis, critical thinking, presentations and group working. It’s a strong basis for a variety of careers in organisations as diverse as interest groups, research bodies, think tanks, the media, the civil service, local government and political consultancy as well as professions like law, finance and teaching. Graduates from BA Politics and BA Politics and Parliamentary Studies have pursued a wide range of careers as parliamentary advisors or researchers, civil servants, diplomats, advocacy workers, parliamentary assistants, lobbyists, special advisors to senior ministers, political researchers and local government officers – and some have even gone into elected office as MPs. If you apply for and achieve (at the end of Year 1) a place on the BA Politics and Parliamentary Studies programme you will spend a year on a related placement. See 'Course content' tab for more information.